8th Bead Soup Blog Hop!!! Welcome to Lori Anderson's 8th Bead Soup Blog Hop!!! I have had the fortune of being able to participate in this fabulous event for the third time! I have been given the pleasure of having been paired up this time with Patty Gasparino. Patty, was very generous in sending me this incredible assortment of beads and focal pieces for my bead soup! She sent all of these beads inside this lovely packaging along with a sweet card! 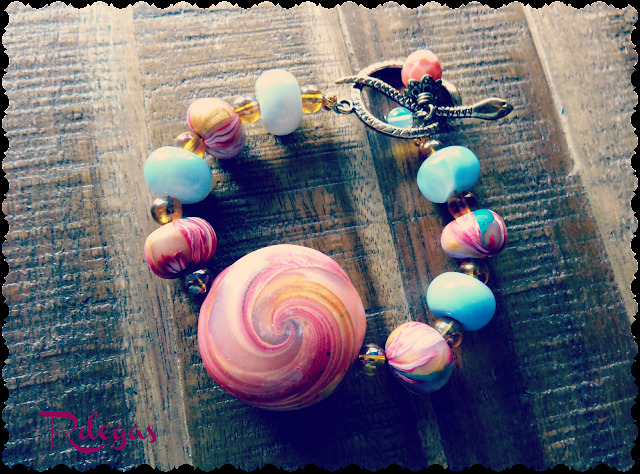 Patty, has not only inspire me with this bead soup but also made me think out the box with my creativity. I really wanted to challenge myself this time and she has been successful in helping me do that. 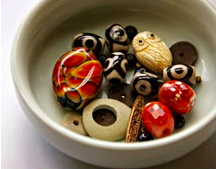 fantastic lampwork beads by Bubby & Mc Gurk. I also used the seed beads from SugarBeads, along with the many other beads and leather that she sent me. 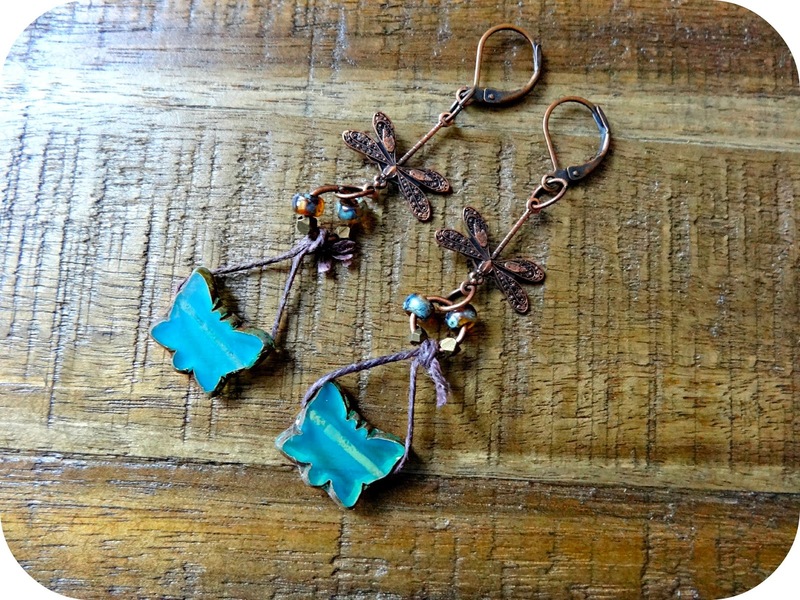 I had lots of fun making these earrings with these great butterfly beads and dragonfly links. My daughter's are already fighting over all of threes pieces! These amazing filagree focals are made by Gardanne Enamel. 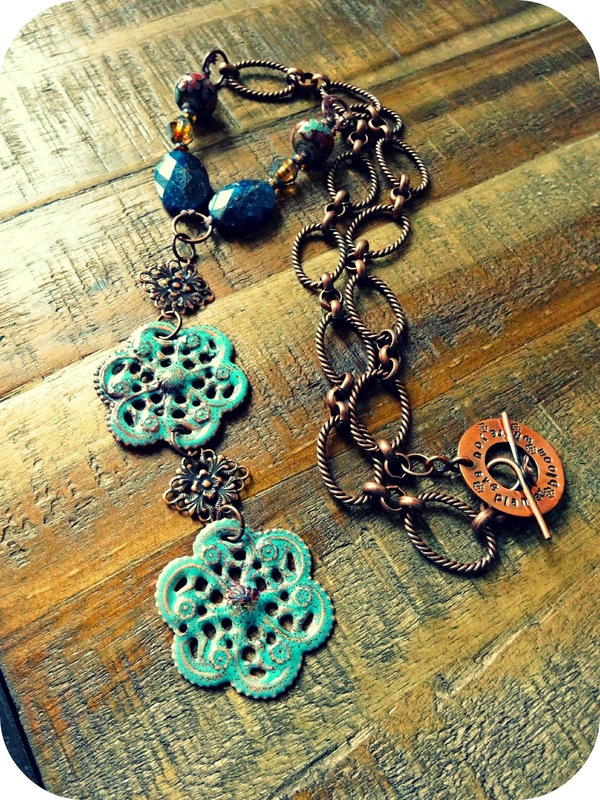 I really, "Fell Head Over Heals", over this spectacular clasp made by Cat Pruitt from Boo Beads. I also used some of the awesome rough cut Apatite semi-precious stones she sent me too! I would like to wish all the mother's out there a, "Happy Mother's Day"!!! 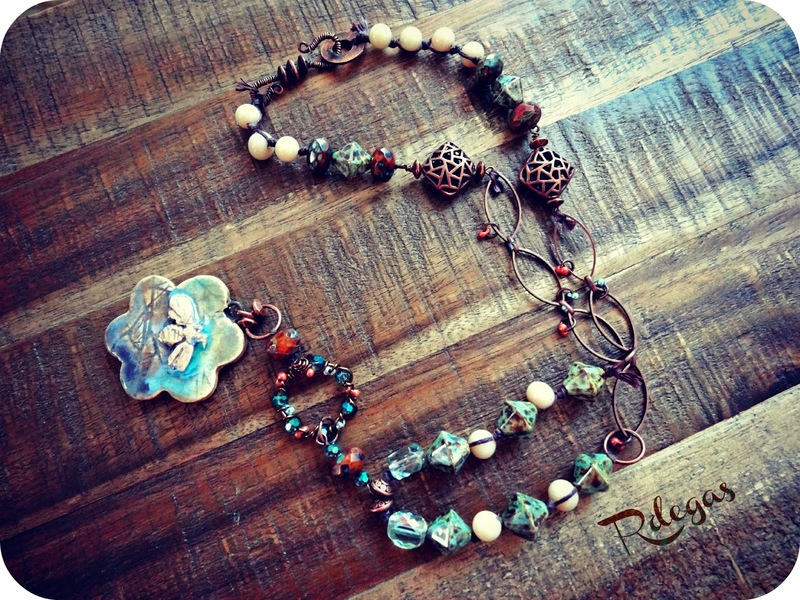 I want to personally thank Patty Gasparino, for the lovely bead soup! 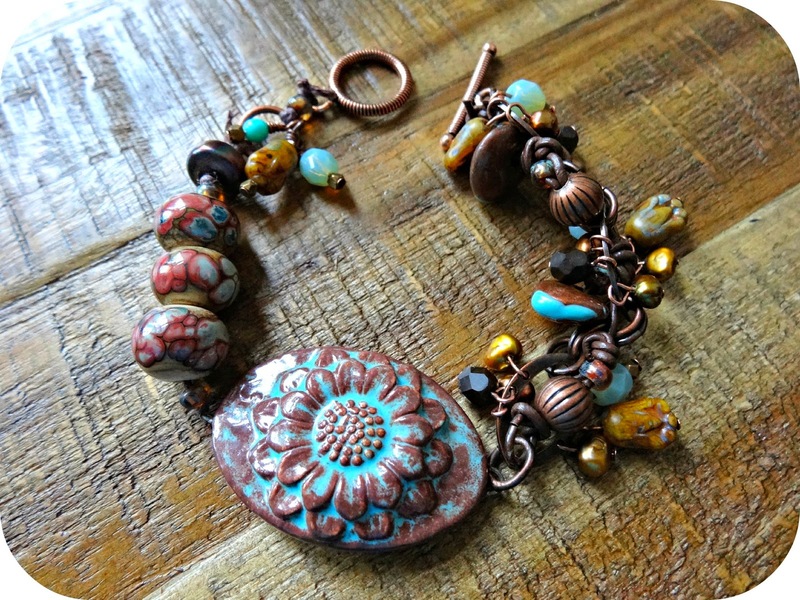 I also want to personally thank Lori Anderson, for creating and arranging this wonderful "Bead Soup Blog Hop!" 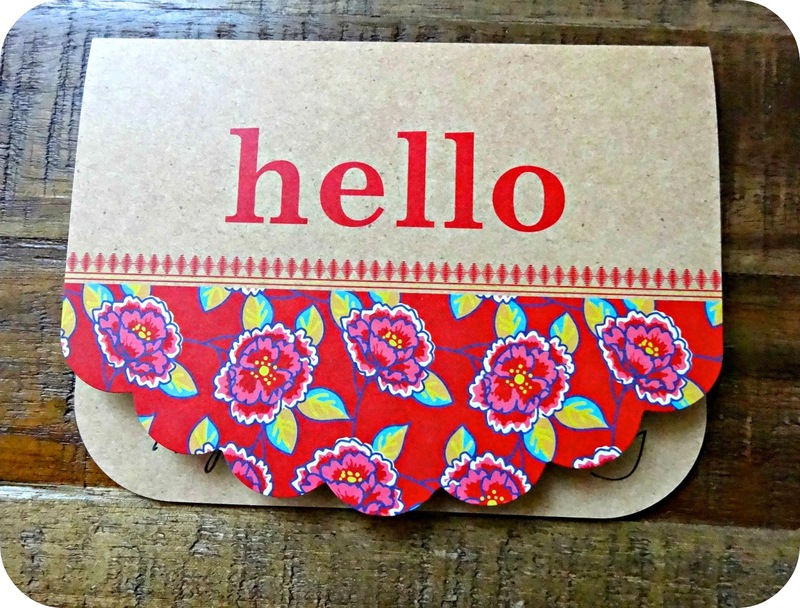 I would also like to thank everyone for stopping by my blog to see my reveal! Please take some time to see the other wonderful reveal's and most especially my Bead Soup partner Patty Gasparino! 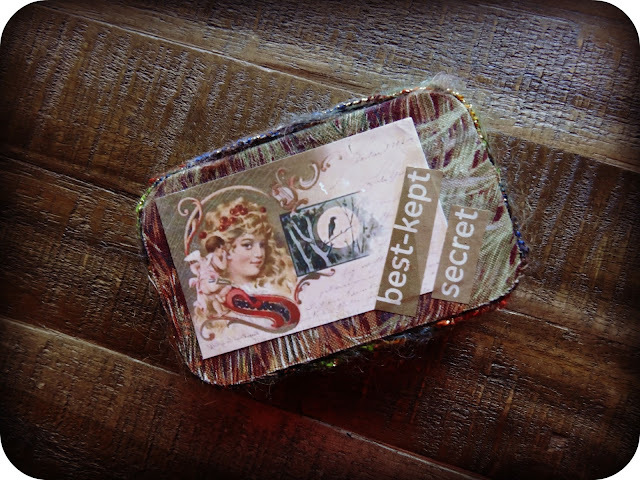 7th Bead Soup Blog Reveal!!! 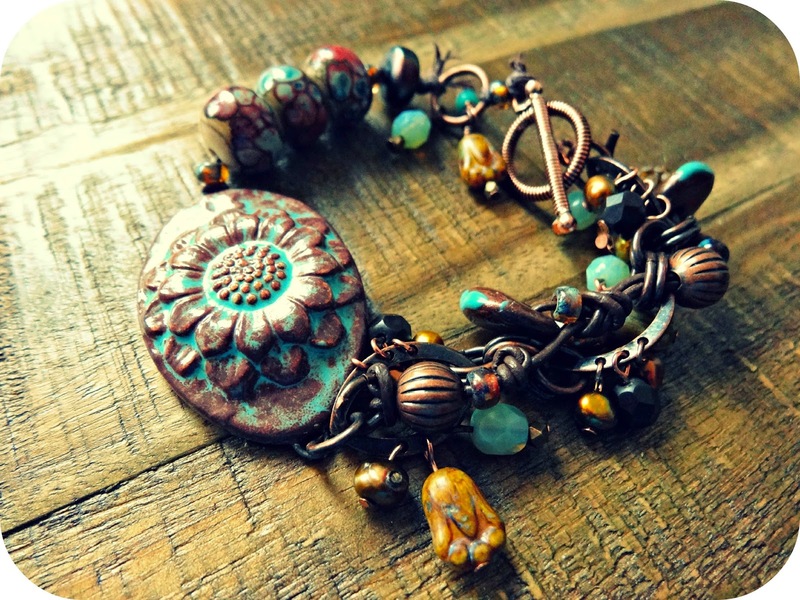 Welcome to the 3rd Reveal of Lori Anderson's 7th Bead Soup Blog Party!!! This is my second time participating in this wonderful event! My partner this time for the swap is Mary K. McGraw. 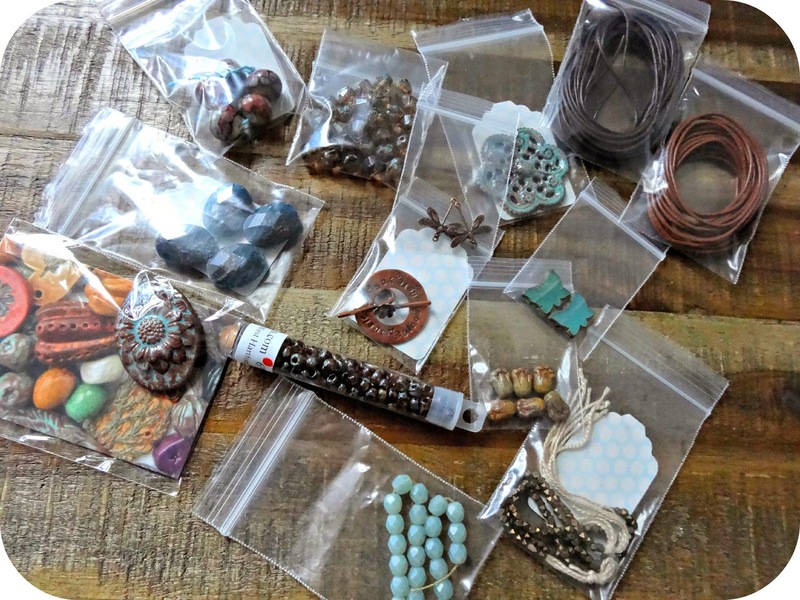 She sent me a wonderful assortment of all these beads, including a ceramic pendant that Nan Emmet of Spirit Rattles created! She sent all these lovely beads in a very creative little package too! I truly felt very creative after receiving all of this!!! With all of this creative inspiration, I went ahead and created this great necklace using all of the terrific beads and focal and clasp that Mary sent me! 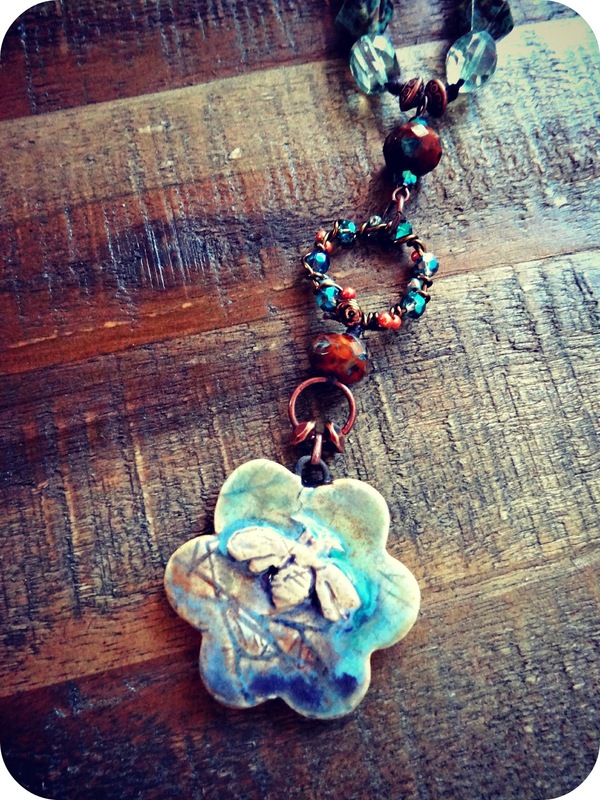 Here's a close up of Nan Emmet's ceramic pendant. I would like to thank my partner Mary K. McGraw, for the lovely soup she sent me! 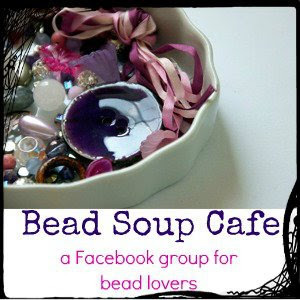 I also want to thank Lori Anderson, for coordinating this awesome Bead Soup Party! Please take some time to see the other wonderful reveal's! I saw this little guy smiling at me when I was outside last week watching the rain coming down from my patio. I could not resist but to take a picture of him. He was such a good little model during the whole time! I also wanted to include one of my favorite pictures of the orchid blooms that I took during last week too! 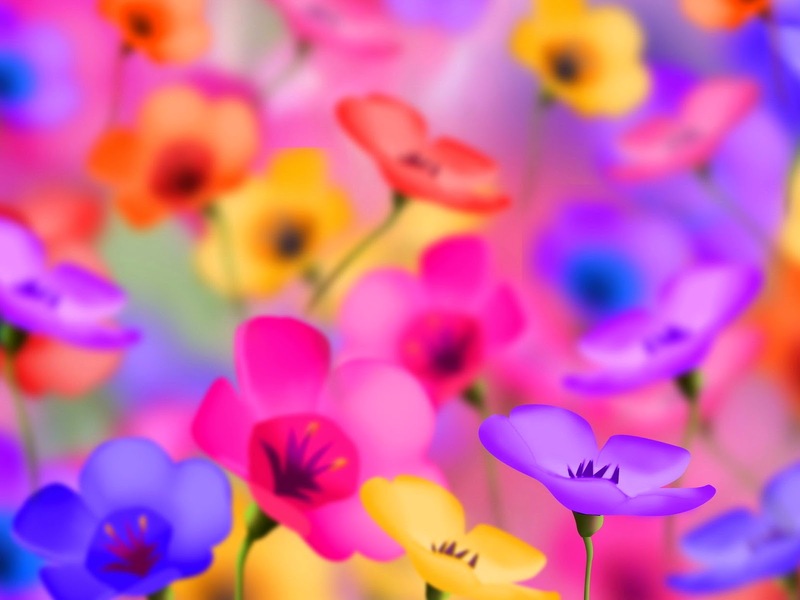 Flowers have been a passion of mine for some time, so you can only imagine when I saw this weeks focus that I became really excited! 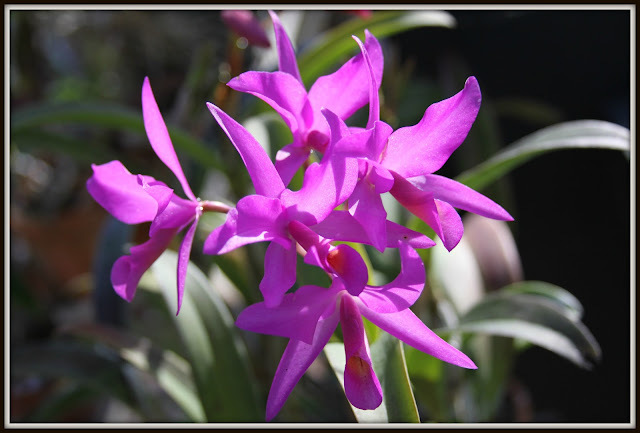 I immediately went outside and started taking pictures of all the beautiful flowers that truly evoke excitement and lots of happiness to me! 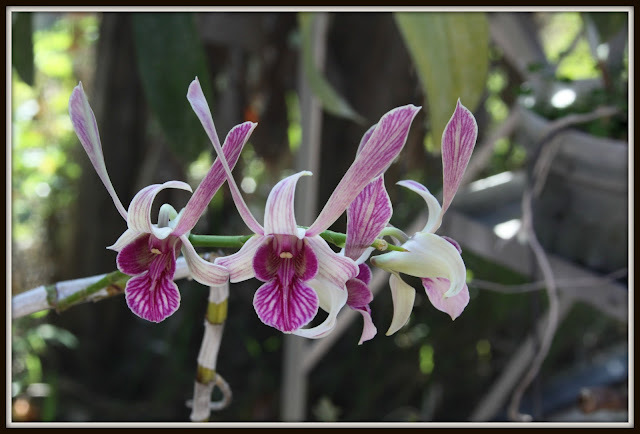 Since I was a child I had always been surrounded by beautiful and exotic flowers. My mother's happiness was her plants so I guess I carried on the trait. I am hoping that at least one of my six children will find some of their happiness in this too! Thank you Sally, for allowing me to share this with all of you! 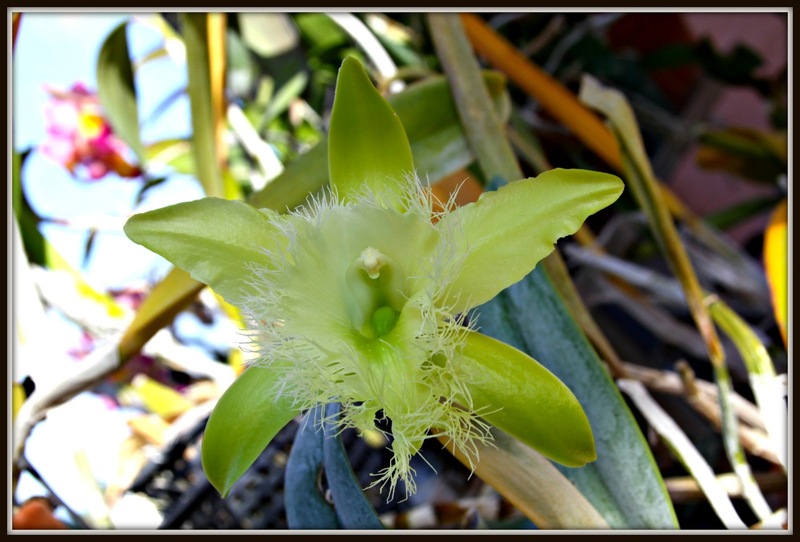 Please take some time and visit Sally's blog to see all of the other members wonderful flowers too! This little girl is my Rosebud! She just turned eight last month. She has been my constant unconditional love for all these years. She is so sweet with me and the kids and truly makes us laugh when she does her spins down the hill in the front yard. Rosebud loves to swim in our pool, especially when the kids sing, " Ring-around-the-Rosy!" She always jump in right on queue, on the part of, "We all fall down!" 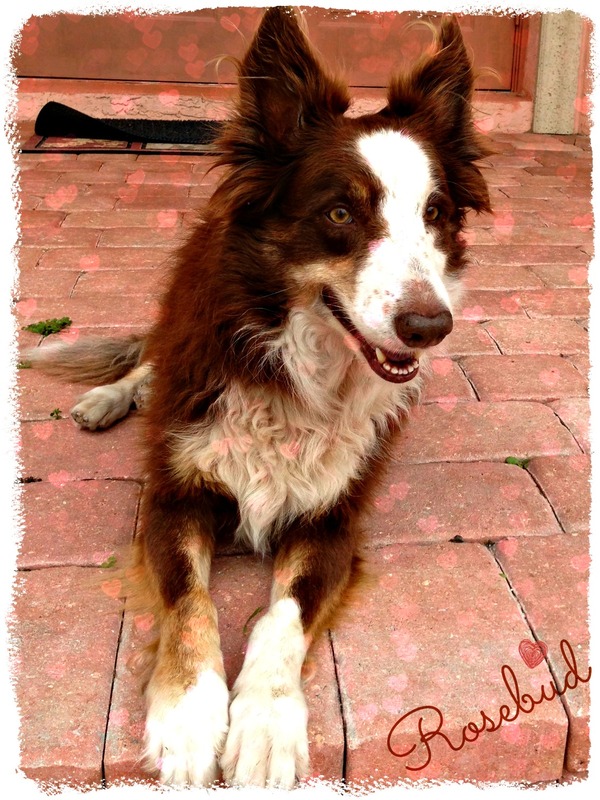 Please take some time to visit Sally's blog and see how the other members have found their love! 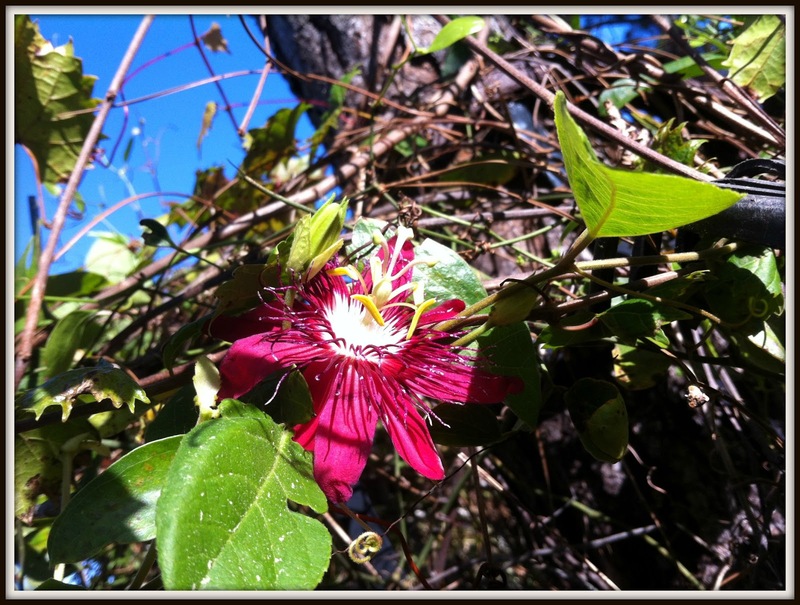 This week I joined Sally Russick's; Focusing on Life 52 photos journey. 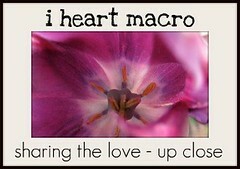 I was so delighted to start on this weeks' focus with capturing hearts! This gave me the opportunity to become creative with my surroundings. So I found hanging on my cork board a sun-cathcher heart that my daughter Alexi, gave me when she was in fourth grade. I decided to take it off the cork board for the first time in almost three years. 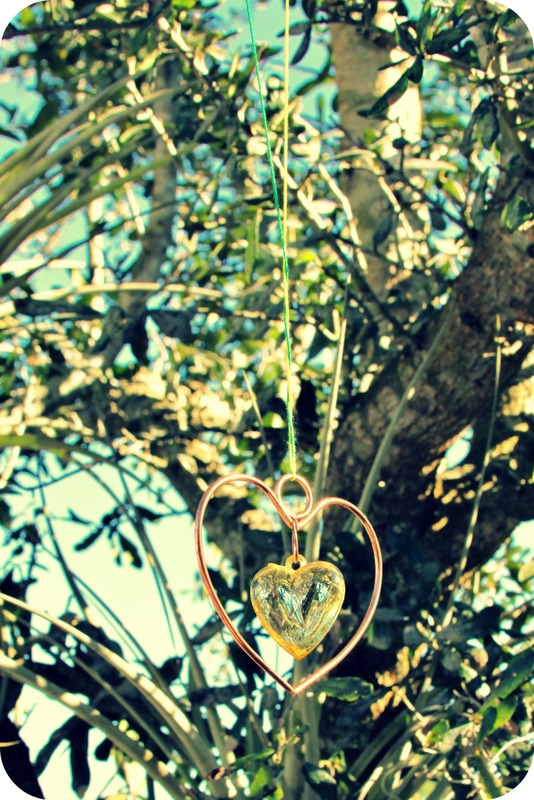 I hung it on one of my oak trees and saw how it captured the light form the sun so wonderfully. What a treat! 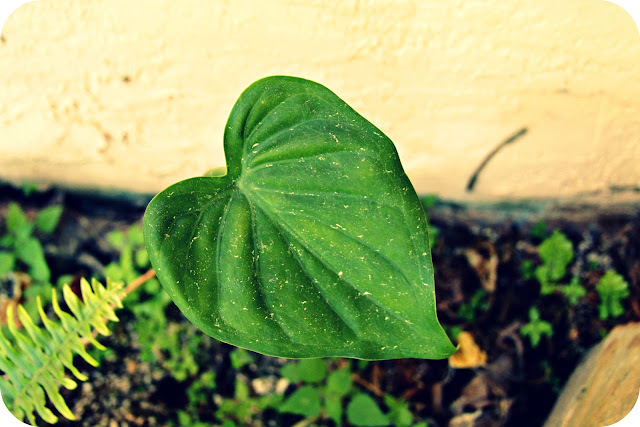 As I was taking pictures of my daughter's sun-catcher I noticed this adorable little heart leaf on one of my Alocasia plants that was near the oak tree. 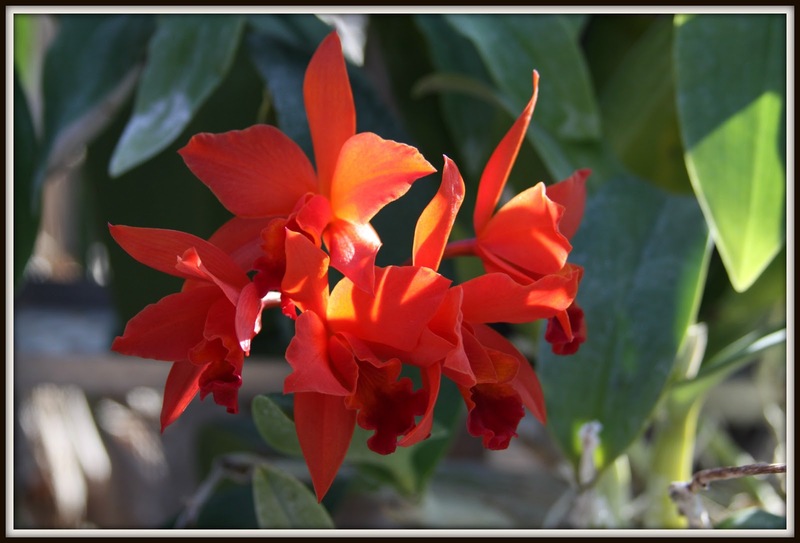 I could not resist and took a picture of one of natures own creation. Thank you again Sally, for allowing me to join this fantastic journey with you and everyone else! 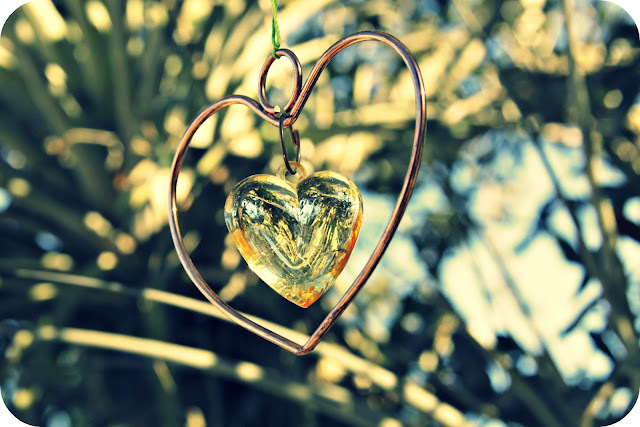 Please take time and visit Sally's blog to see all of the other members heart journeys. 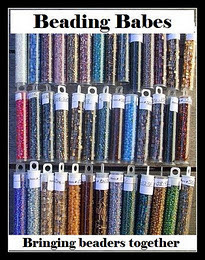 I am back with my Bead Soup Reveal!!! 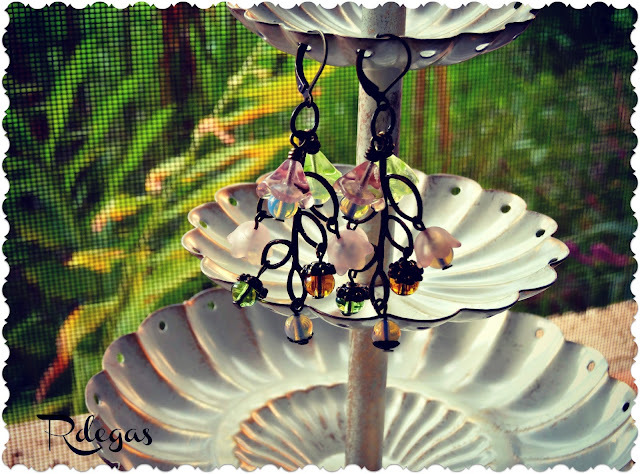 Welcome to the 3rd Reveal of Lori Anderson's 6th Bead Soup Blog Party Hop!!! This is my first time participating in this wonderful event with 400 attendees! I was given the pleasure to be paired up with my lovely partner, Sandi Mazell, of DoBeDoBeadDo, for this great event! She sent me all these great beads and clasps. 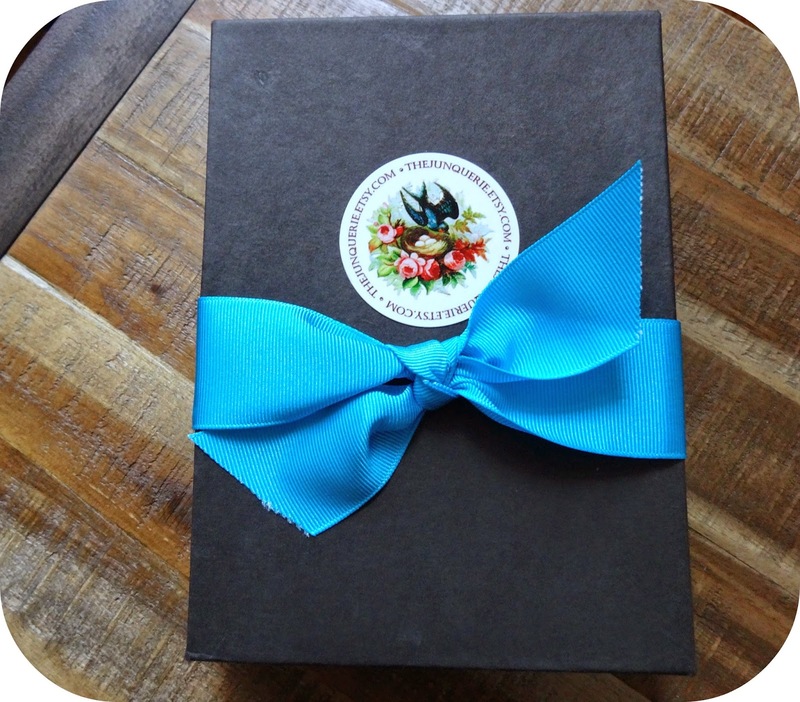 I now finally get to show you all three of the fabulous goodies that I have made with them. 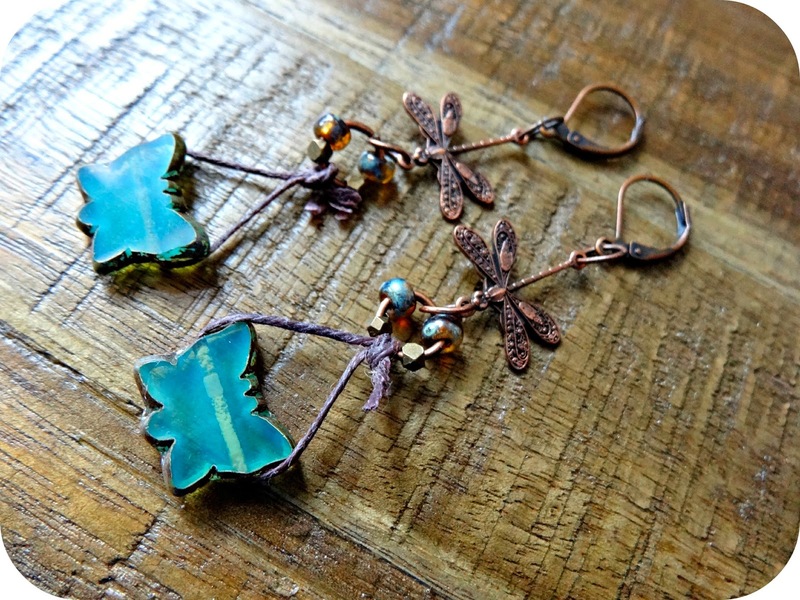 The first piece I made, were these delightful earrings with the leaf pendants. I also used the pretty flower bead caps with some of the moonstone beads. I included some of my own green and amber color glass beads too! 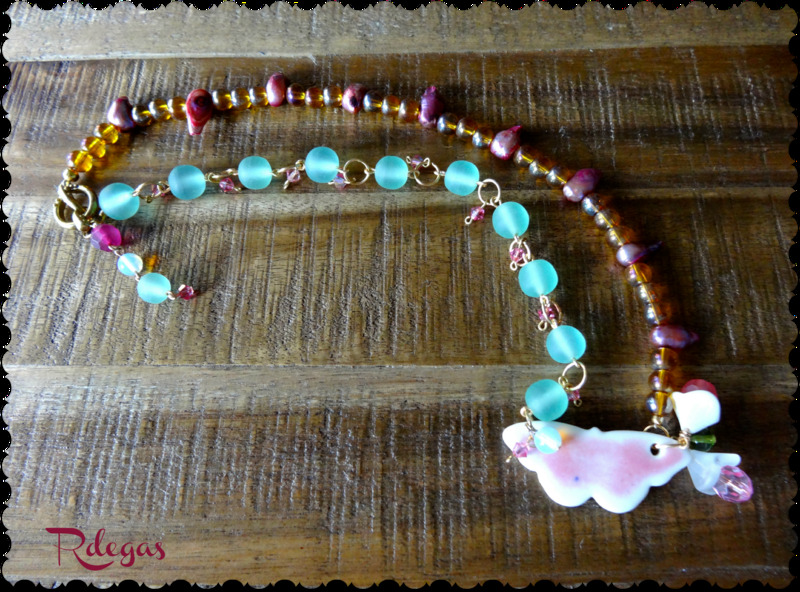 The second piece I made, is this delicious bracelet with Sandi's, yummy handmade polymer beads along with some dyed Agate beads that she sent me. I also used the awesome snake clasp too! 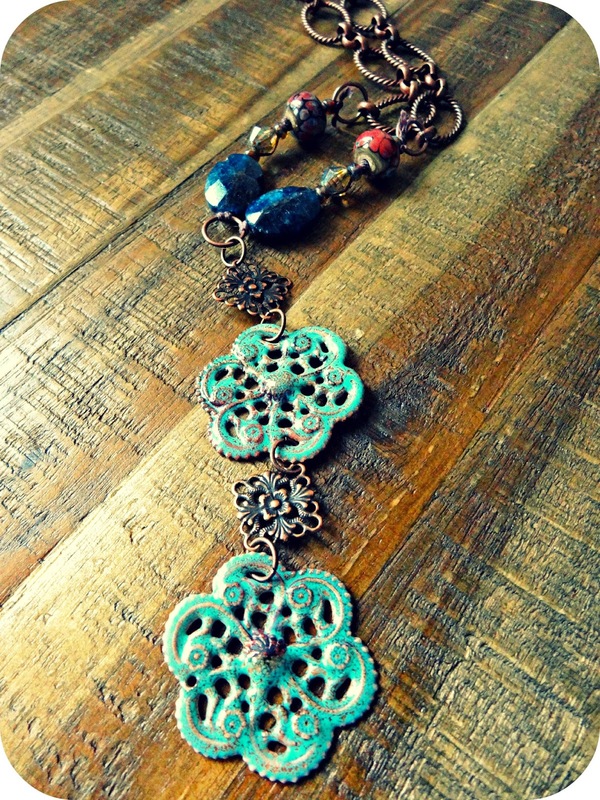 The third and final piece I made, is this charming necklace. I wired some of the frosted sea glass beads onto the ceramic butterfly pendant that Sandi hand-made. I also included some of my amber color glass beads along with the multi-color pearls that were in my bead soup. 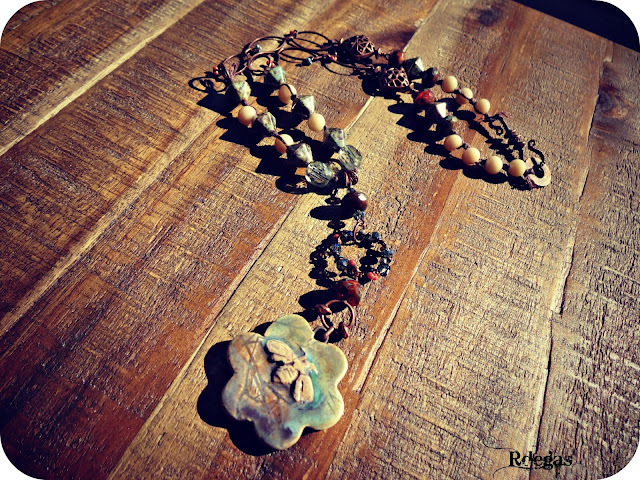 I added again some more of the remaining flower bead caps to the ceramic butterfly pendant. 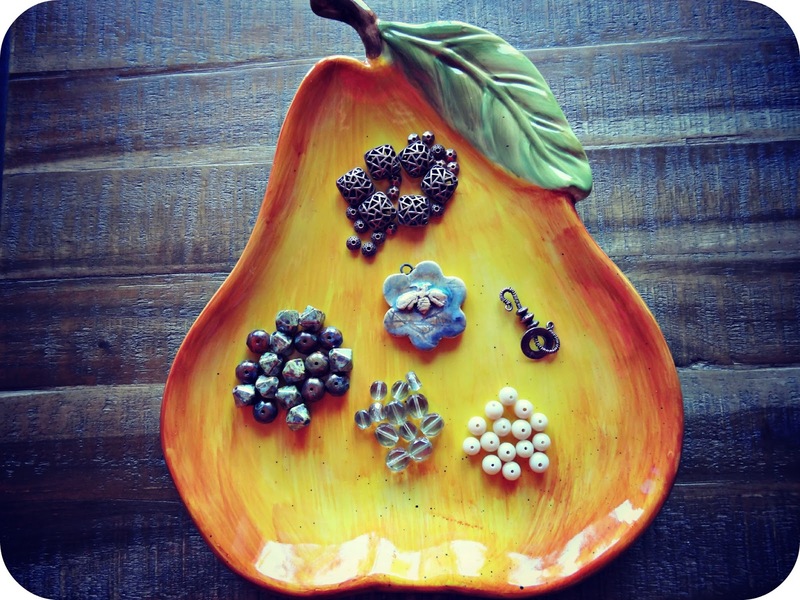 I really enjoyed creating all of these pieces with the magnificent bead soup that Sandi sent me! I also want to thank Lori Anderson, for hosting this amazing event! She has worked so hard on this event!!! 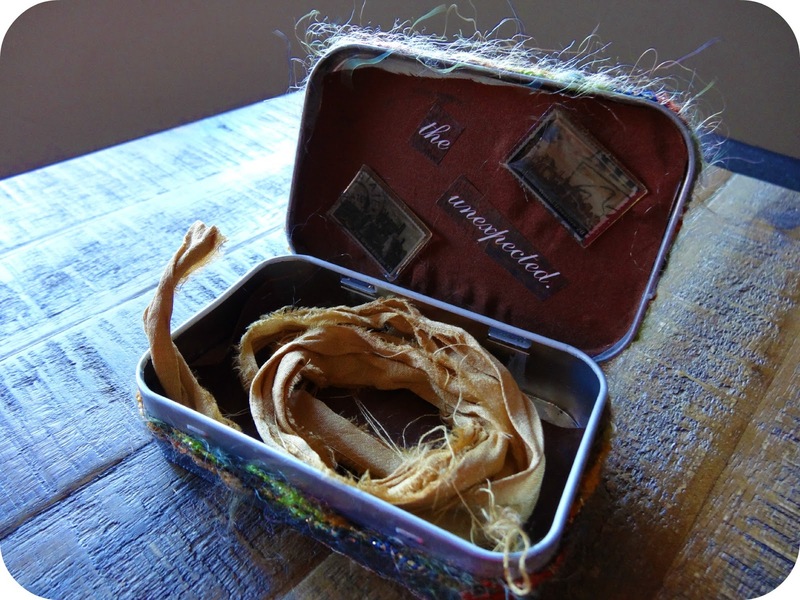 Jane Haag, DidYou Make Something Today?